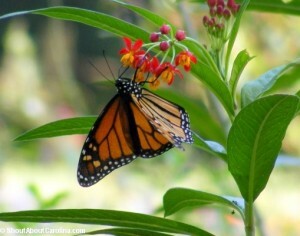 Here in Hilton Head Island, summer is in full-swing! Already people from out of town are visiting our beautiful beaches and our local social calendar is really filling up! Below, you’ll find just a sampling of community events going on this month that are sure to entice nearly every interest! If you end up checking out one of these events, please let me know what you think of it! Hilton Head Island Community Events This Month! Civil War History Lesson: Did you know that this South Carolina Island was home to thousands of Union soldiers during the Civil War? Learn even more interesting facts about the Civil War Era in Hilton Head Island by visiting the Coastal Discovery Museum this month. There, you’ll get a chance to check out Civil War era photographs, maps and artifacts, dating back to the 1860s! Reggae Performance: During a night out with your significant other, you may want to check out the Sunset Reggae Party in Hilton Head Island, which is held every Monday night at Skull Creek Boathouse. Hilton Head Island Farmer’s Market: If you and your family are interested in supporting local business, you may consider checking out the Hilton Head Farmer’s Market, which runs every weekend, April 6 to December 7. There you’ll find fresh produce, seafood, honey, baked goods and more. Butterfly Tour: Come take a guided tour through the Karen Wertheimer Butterfly Enclosure and learn about native butterflies from the Hilton Head Island area. This is also a great opportunity to learn about the different stages of a butterfly’s life, including caterpillar and chrysalis. Reservations required. Beautiful Hilton Head Island Homes for Sale Available Now! As you can see, there’s always something interesting going on in Beaufort County, SC. If you’ve been thinking lately about investing in your own piece of beautiful Hilton Head Island real estate, then please don’t hesitate to contact me, David Pautler, your Beaufort County REALTOR for life. When you contact me, I’ll discuss with you in depth what you’re looking for in your next home and then I’ll help you find it on the Hilton Head Island real estate market.